According to a study done in Denmark, survival rates of people suffering from a heart attack can significantly be increased if there is extensive CPR training. The experts looked at 29,000 incidences that happened over a period of ten years. Their findings indicated that the proportions of situations involving bystanders increased by double the digits. This meant that over 44% of the bystanders got involved after the widespread CPR training as compared to 20% before the training program laid out. The study astonishingly shows that people who received any kind of help from bystanders were four times likely to survive as compared to those who didn’t get any help. A lot of these patients were either treated with AED (Automated external defibrillators) or received CPR from the bystanders. AEDs are equipments that can help restore normal heart functions after it stops. This can happens after an accident such as drowning or electrocution. This makes the hearts stops beating and one then suffers from what is known as a cardiac arrest. The significance of the study is clearly highlighted as it shows just how the number of survivors increases if there is extensive CPR training. According to Dr. Mads Wissenberg, the lead investigator of the research, the impact of bystanders is evident as a lot of people survived after they got involved. He added that their study showed that an increased availability of machines such as AEDs can impact on rate of survival. 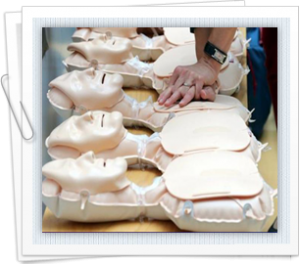 Widespread CPR training has been promoted in Denmark for over 10 years. The programs include training people applying for driver’s license and children in elementary school. AED machines were also put in both private and public places all over the country. More training programs and opportunities have been laid out in other countries based on the success that has been experienced in Denmark over the last 10 years. Approximately half the victims from the study made still didn’t receive any type of help from the bystanders despite the widespread training. Less than 2% of cases witnessed the use of AEDs which are known to increase survival by 30 days. This goes to show that there is still massive need for improvement in order to make this program fully functional and effective. According to Dr. Wissenberg, the survival rate of cardiac arrest experienced outside hospital settings is reliant on the success and implementation of the widespread CPR training program. The lack of involvement and participation by trained bystanders could be attributed to phobia. Some of the bystanders could lack the confidence to carry the procedure fearing that they could make the situation worse than it’s already is. This problem can be solved by offering more practice which will in general boost their overall confidence and help them cope during real life situations. The findings of the study were presented at the American College of Cardiology which is in Chicago.